MOSCOW, January 28. /TASS/. Moscow considers Special Representative of the OSCE Chairperson-in-Office Martin Sajdik’s idea about the so-called peaceful settlement plan for Donbass as an empty document, a Russian expert said on Monday. Sajdik said in an interview with Austria’s Kleine Zeitung last week that were was a certain new plan of settlement in Donbass instead of the Minsk agreements that provides for sending a United Nations police mission to Ukraine and establishing an agency for the region’s revival under the European Union’s auspices. "I have read both Mr. Sajdik’s initiatives and his comments to them quite carefully," Alexei Chesnakov, director of the Center for Current Policy, told TASS. "I don’t think anyone can clearly see the document’s political and substantive value, neither is it clear why it has surfaced at this very moment." "Maybe it is not clear to Mr. Sajdik himself," he noted. "Since, on the one hand, he says that the implementation of his initiatives required a resolution by the Normandy Four nations approved by their parliaments. On the other hand, in some sentences, he notes that no official reaction had come from the Normandy Four representatives and there was no need in such reaction, after all. Look, it is a rather unhackneyed statement for a diplomat and it makes any further serious discussion impossible." According to the expert, Sajdik seems to be aware that his plan could hardly be seen as realistic and only speaks about his striving to "show a possibility that there are ways to work." "Probably, the OSCE coordinator of the Contact Group’s talks in Minsk has grown very tired and decided to offer at least something so that not to look that helpless. So, what we see is a petty dummy," Chesnakov noted. 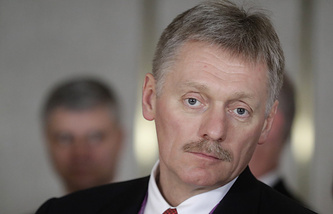 "Moscow’s position on the implementation of the Minsk accords stays unchanged - they must be fully implemented. Any talk about supplementing and developing Minsk-2 look as manipulation seeking to create conditions for the Ukrainian side to dodge its commitments. Before speaking about new plans, OSCE representatives should thoroughly analyze political reasons why the Package of Measures of February 12, 2015 is not implemented," he stressed. "I would like to recall that [Ukrainian] President [Pyotr] Poroshenko has recently said publicly that there would be no ‘special status’ to Donbass. Why the OSCE is silent about that?" "It’s better now not to indulge in new ideas but spare no effort to implement what is written in the Minsk accords. Otherwise, two conclusions come to mind. First, the OSCE representative doubts the efficiency of his own organization. And second, the person in charge of the implementation of the Minsk agreements is seeking to disavow the," he added. The Package of Measures was later approved by United Nations Security Council Resolution 2202.